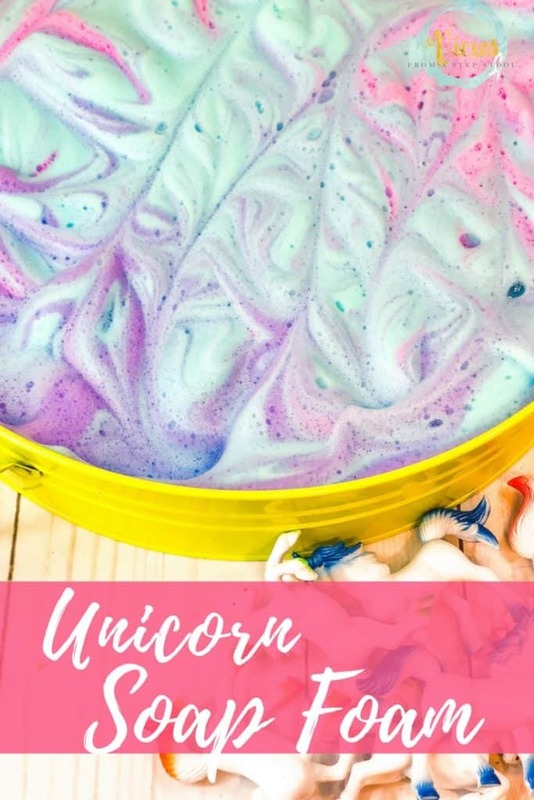 This unicorn soap foam recipe mixes soap and water with cornstarch to create foam that has a great texture. 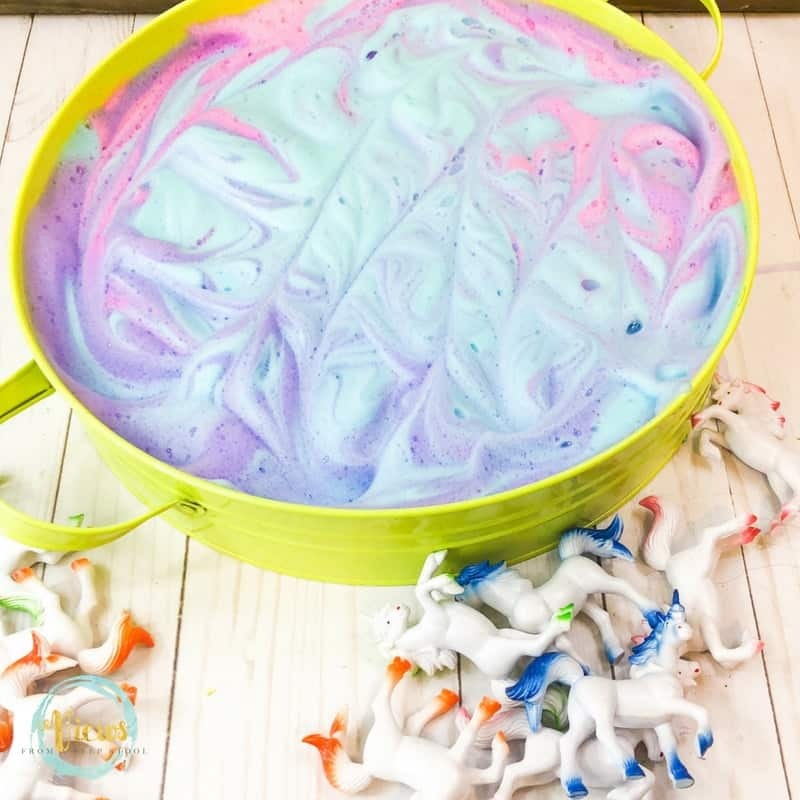 Make a few colors and swirl together for a fun unicorn theme! We love sensory play that we can take outside! 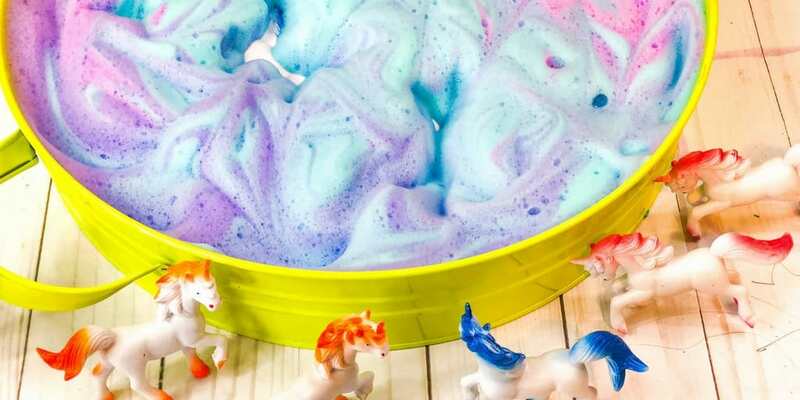 This soap foam has a really great texture and is perfect for playing with on the patio, then hosing off afterwards. 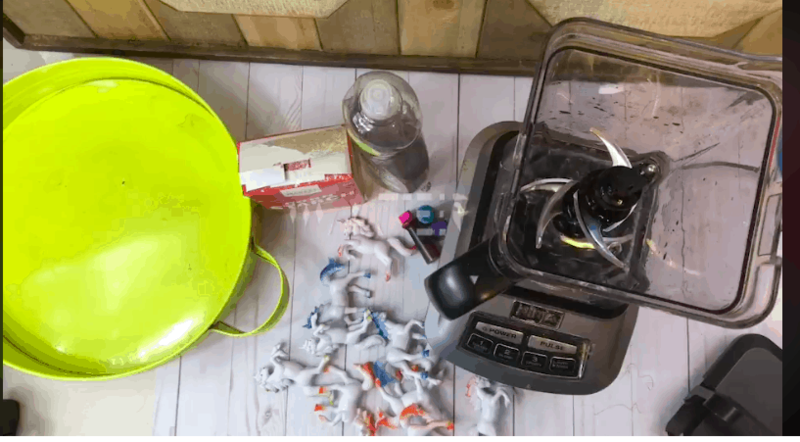 It really contains the mess – but the kids can go crazy playing with it! 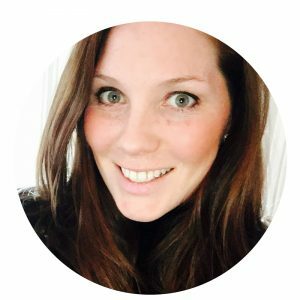 Make a large batch and check out how Parenting From the Heart puts it in the kiddie pool! I like to use cornstarch to thicken this up a bit. 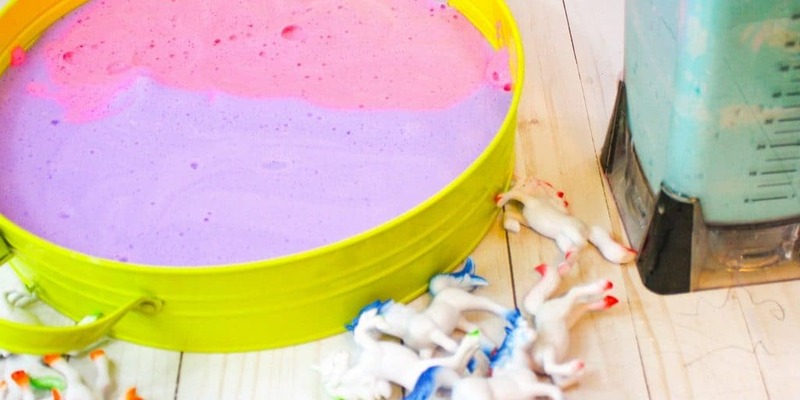 Make a couple batches and add in a few unicorns and you’ve got tons of pretend and creative, messy play! 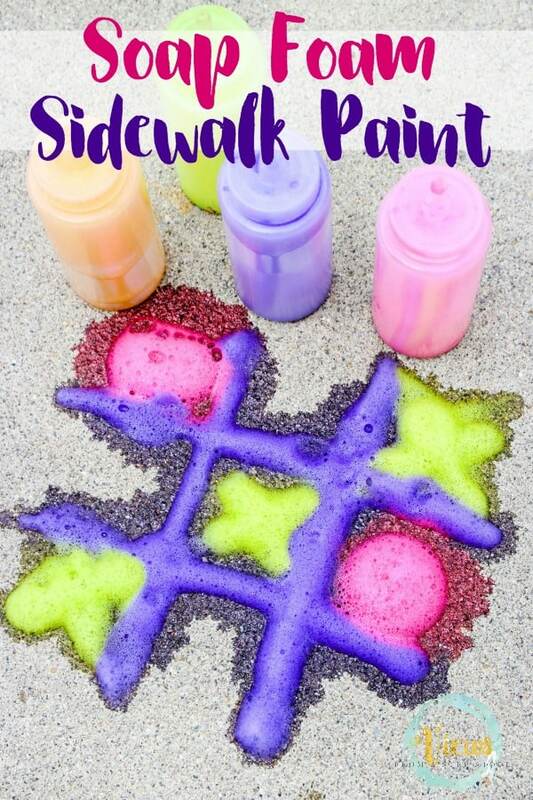 In the blender, add the water, dish soap, cornstarch and one of the food colorings. Blend on high speed until stiff peaks form. Depending on the type of soap etc, you may need to adjust measurements. 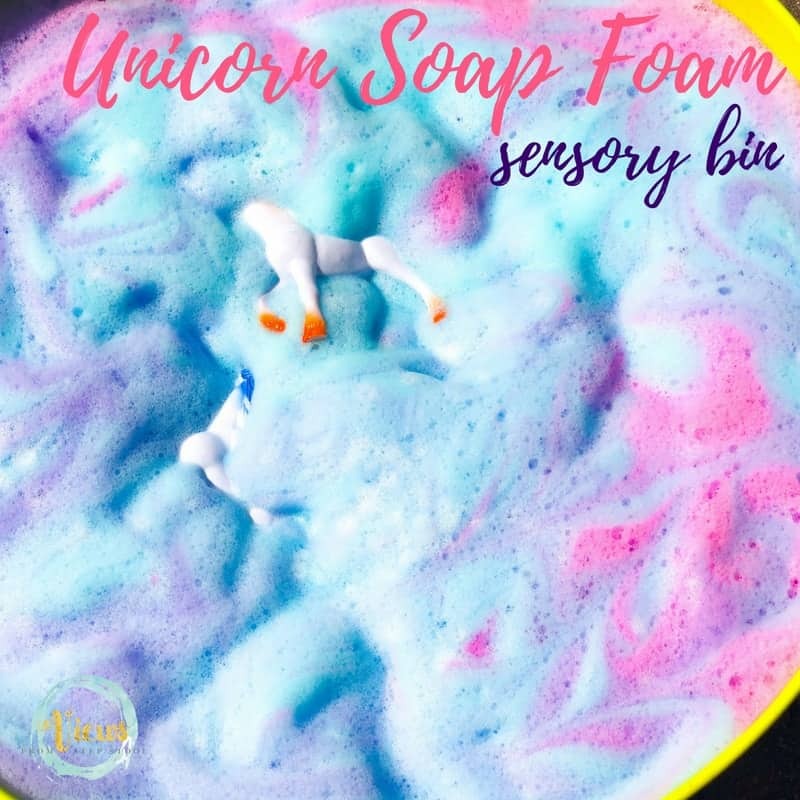 Repeat this process with each color, until you have three batches, purple, pink and blue soap foam. 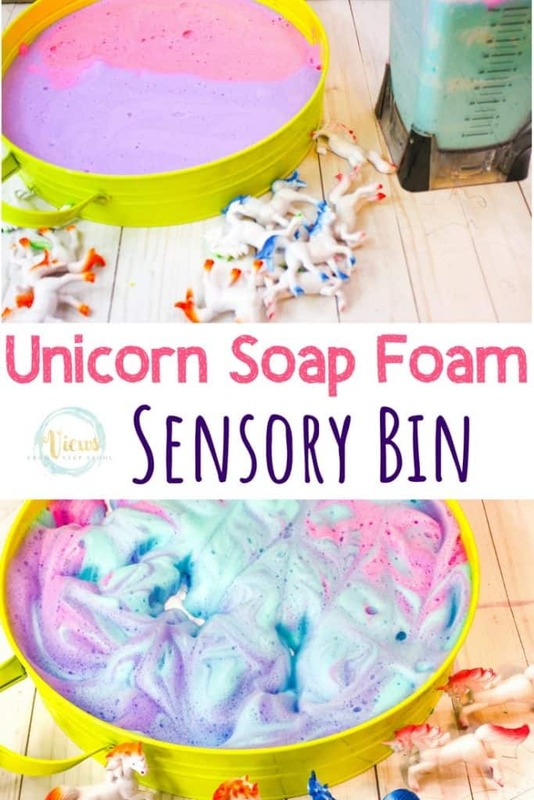 Pour the soap foam into a container and add swirl together with a craft stick or spoon, and add the unicorns! 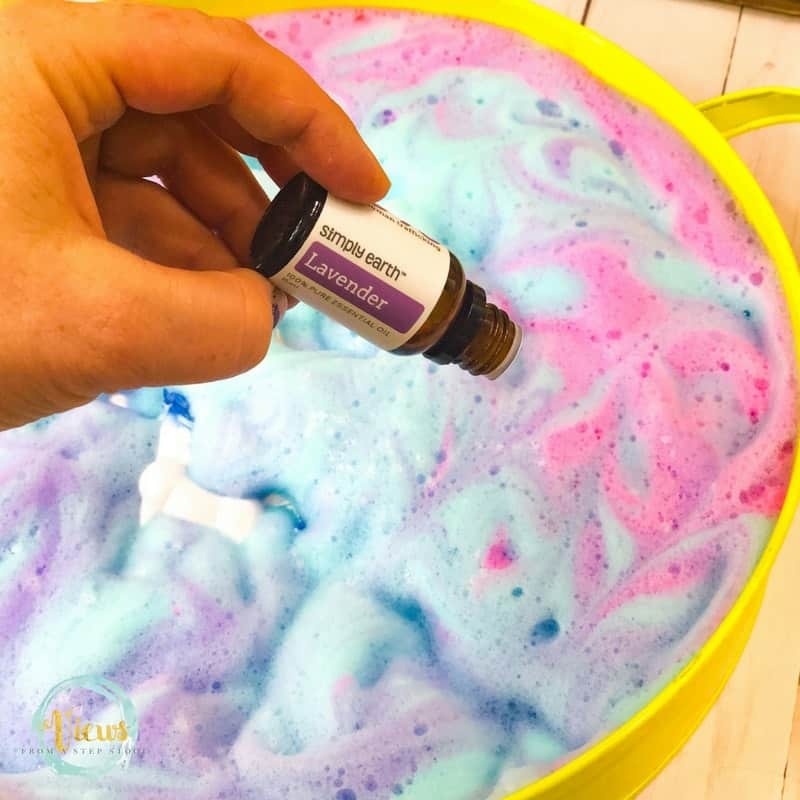 Add a few drops of Lavender essential oils to the soap foam for a calming scent. You can even put this in a squirt bottle and write with it! 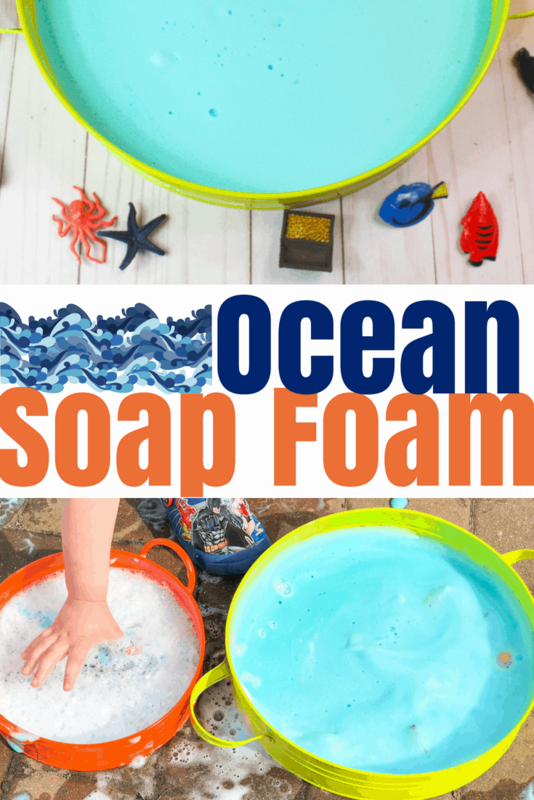 Check out our Ocean Soap Foam too!